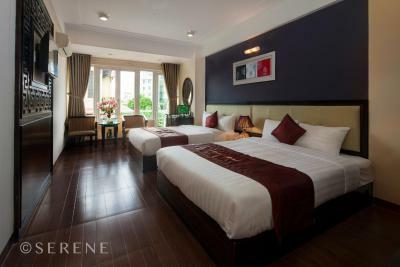 Lock in a great price for Hue Serene Palace Hotel – rated 9.2 by recent guests! Best breakfast ever. They coock by order absolutely fantastic food. Try seafood rice! 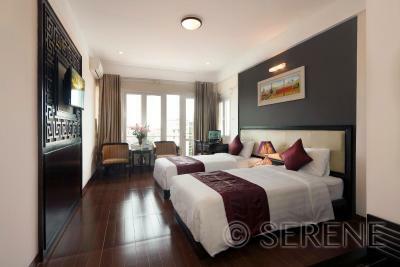 Large, clean, fairly modern and comfortable rooms. We really liked the fresh fruit on arrival as an added extra. Staff are also super friendly and helpful! Great breakfast. We loved the Staff-very polished,very polite, very helpful and we felt we were looked after very well!! The Staff at Scarlett Boutique Hotel is by far one of the Top performers in the Hotel industry!! We loved the comfortable bed and pillows! 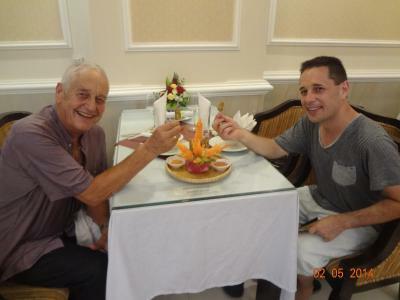 We loved the breakfast( included)- a generous spread of continental and local Vietnamese foods!! We loved the quietness - we had good night sleeps!! We loved the Clean elevator!! The decor we Absolutely Loved!! 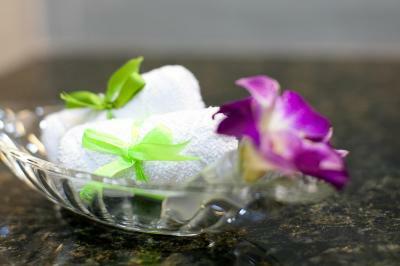 The staff was most pleasant, eager to help, extremely friendly & professional, very accommodating. They helped us setup to a day tour of Hue which was fabulous, w/our knowledgeable English-speaking Vietnamese guide! Our room was spacious, clean BR! Oh! And Icannot forget to mention the in-house restaurant (rated #1) which had absolutely delicious food, not to mention a generous complimentary BKF! Room is large and clean. Staff was very nice and friendly. Breakfast buffet was very good with great service. 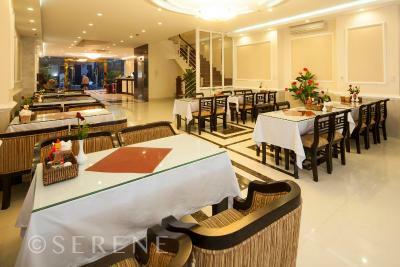 The restaurant downstairs serves great food and offers great value. Great location. 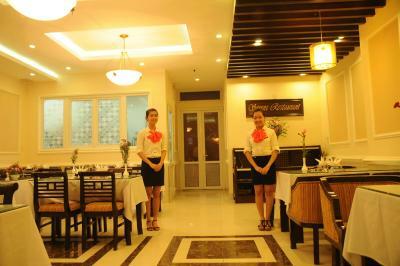 The staff all speak English and are very helpful. The room was super clean and comfortable. We would definitely recommend it! Staff very friendly and helpful. There is wear and tare in the hotel, but price and quality are definitly in balance. The kindness of staff was the hallmark of my stay. The staff made me feel at home from the minute I entered the lobby. 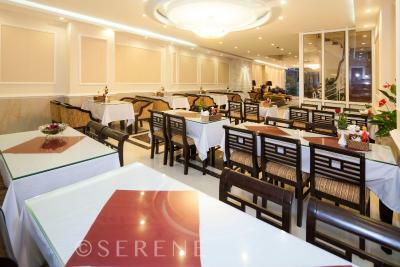 Besides having an amazing staff, the hotel is located on a side street away from the traffic and the noise (but just a stone throw from the city centre), has large rooms that are perfectly clean and on the ground floor has a fabulous restaurant that serves amazing Hue dishes at reasonable prices . This hotel understands perfectly well what a service establishment is meant to be. Special thanks to Maya for all your dedicated attention and smile. 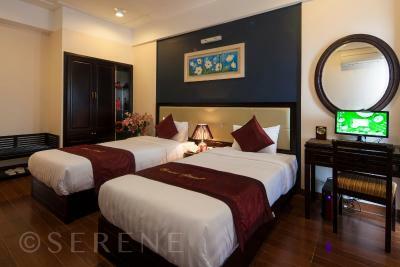 I would recommend this hotel to anyone who plans to visit Hue. 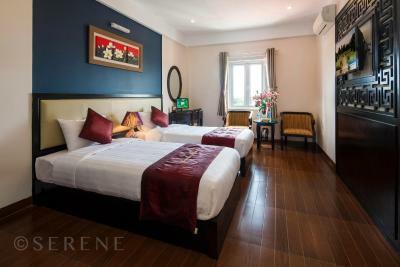 Hue Serene Palace Hotel This rating is a reflection of how the property compares to the industry standard when it comes to price, facilities and services available. It's based on a self-evaluation by the property. Use this rating to help choose your stay! 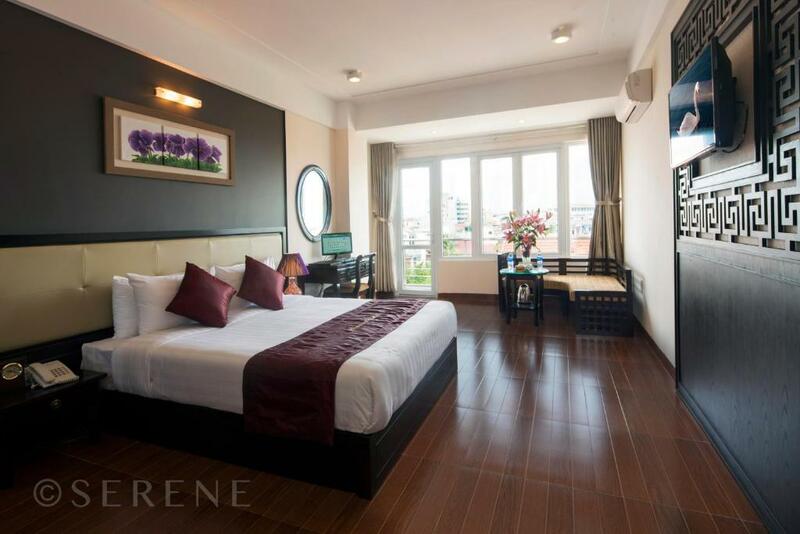 One of our top picks in Hue.Hue Serene Palace Hotel is strategically located within 650 feet from the famous Huong River and Trang Tien Bridge. 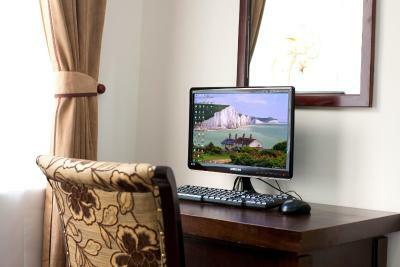 It features modern rooms equipped with a personal computer and offers free Wi-Fi access throughout the property. 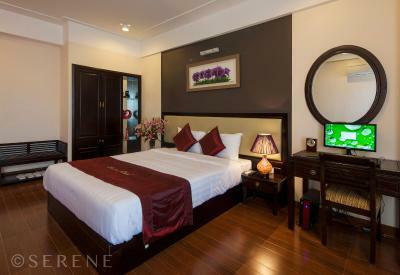 The hotel is just 1,950 feet to Hue Citadel and about 0.6 mi to Hue Train Station. 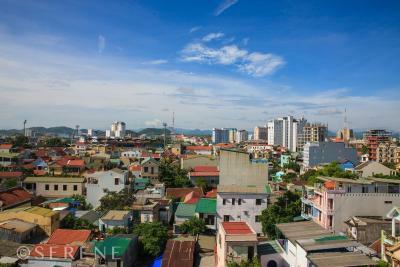 Hue Airport is 6.2 mi away, while Da Nang International Airport is approximately 43 mi away. 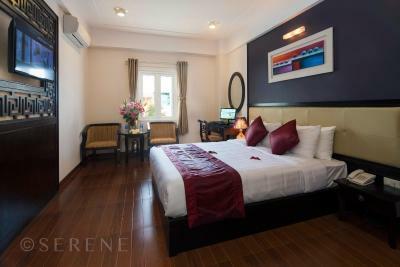 Fitted with parquet flooring, air-conditioned rooms are well-furnished with a wardrobe, personal safe, a flat-screen cable TV and seating area. Complimentary fruit, tea and coffee making facilities are also included. The private bathroom comes with a hairdryer, bathrobes and free toiletries. 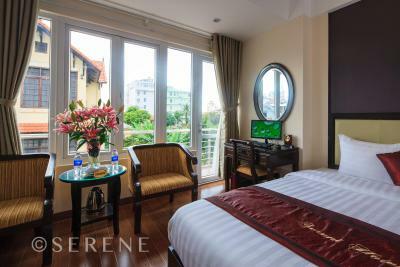 Hue Serene Palace Hotel has a tour desk that can assist with sightseeing and travel arrangements. 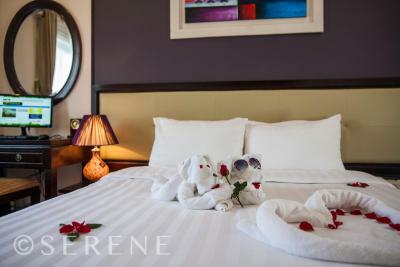 Luggage storage, laundry and babysitting services can be requested from the 24-hour front desk. 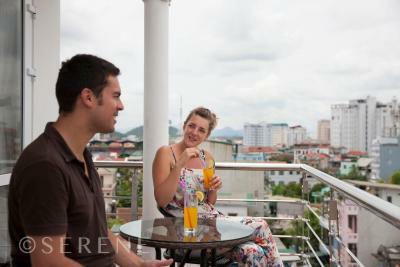 Other conveniences include a business center, currency exchange and bicycle/car rental services. 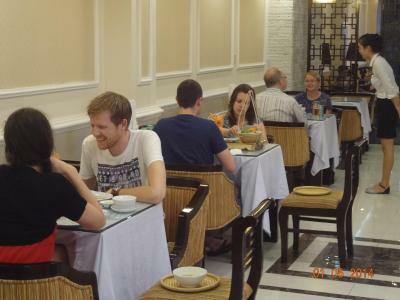 Guests can enjoy daily breakfast at the in-house restaurant, or request for it to be delivered to the rooms. Alternatively, tasty local food is served at the nearby food stalls within a few minutes’ walk away. 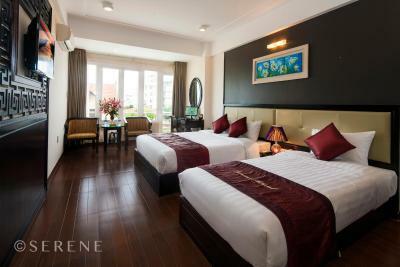 When would you like to stay at Hue Serene Palace Hotel? Fitted with parquet flooring, air-conditioned rooms are equipped with an electronic safe, a personal computer, a flat-screen cable TV and seating area. Complimentary fruit, tea and coffee making facilities are also included. 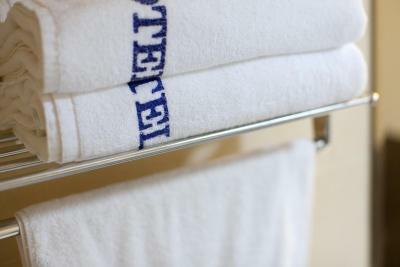 The private bathroom comes with a hairdryer, bathrobes and free toiletries. 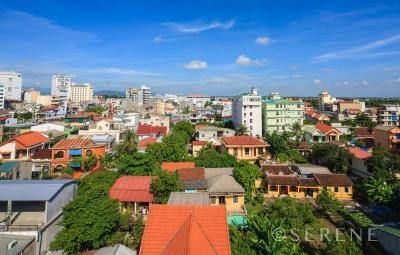 Featuring views of the city from the balcony, larger air-conditioned rooms are equipped with an electronic safe, a personal computer, a flat-screen cable TV and seating area. Complimentary fruit, tea and coffee making facilities are also included. The private bathroom comes with a hairdryer, bathrobes and free toiletries. Fitted with parquet flooring, air-conditioned rooms are equipped with an electronic safe, a personal computer, a flat-screen cable TV and seating area. Complimentary fruit, tea and coffee making facilities are also included. 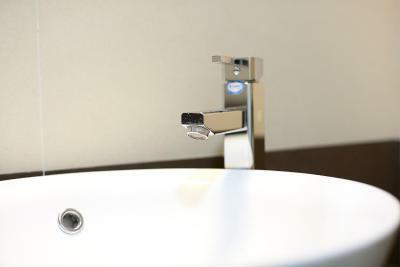 The private bathroom comes with a hairdryer, bathtub, bathrobes and free toiletries. 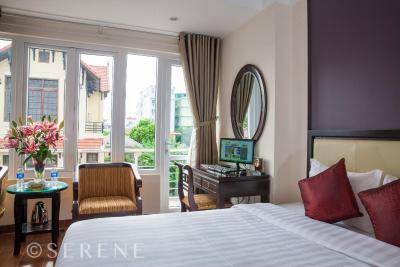 Featuring a balcony, spacious air-conditioned rooms are equipped with an electronic safe, a personal computer, a flat-screen cable TV and seating area. Complimentary fruit, tea and coffee making facilities are also included. 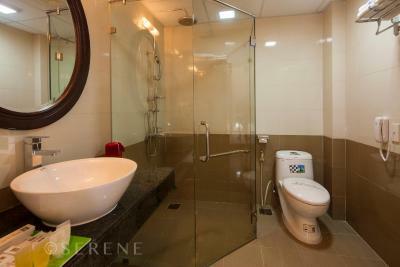 The private bathroom comes with a hairdryer, bathtub, bathrobes and free toiletries. 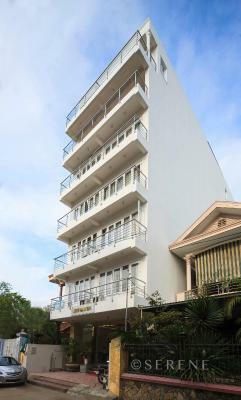 Featuring a balcony, air-conditioned rooms are equipped with an electronic safe, a personal computer, a flat-screen cable TV and seating area. Complimentary fruit, tea and coffee making facilities are also included. 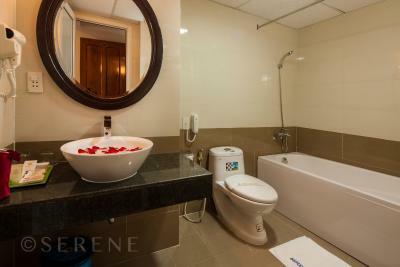 The private bathroom comes with a bathtub/shower, hairdryer, bathrobes and free toiletries. This family room comes with 2 large double beds. 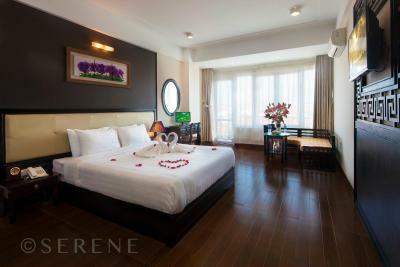 The Serene Palace is a brand new in Hue that features luxurious rooms and suites. We offer convenience to our guests by providing modern elevators, restaurants, free Wifi, PC in the room and other great amenities. 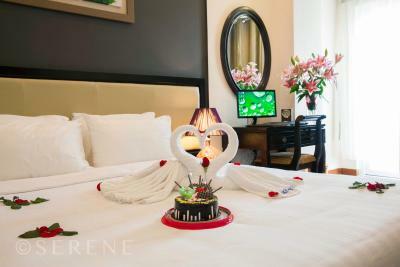 House Rules Hue Serene Palace Hotel takes special requests – add in the next step! One additional older child or adult is charged VND 186738.61 per person per night in an extra bed. 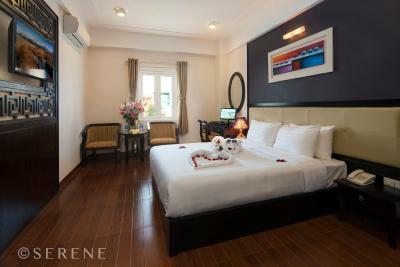 Hue Serene Palace Hotel accepts these cards and reserves the right to temporarily hold an amount prior to arrival. Absolutely nothing. I would 100% return! 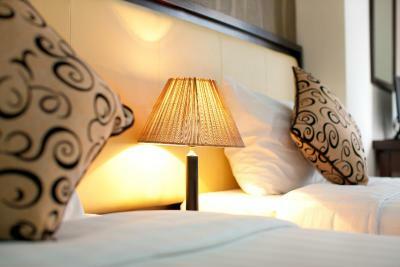 - Very comfortable and clean hotel. - Amazing location, just 5 mins walk away from all the nightlife but far away enough that is truly is serene! - Staff were exceptional, they were so attentive and friendly. Sally is a legend. - Taxis and transfers very useful and easy to organise through the hotel. - Breakfast was good and lunch menu is also excellent. That's what I call service. After a pickup from the airport we received a welcome drink and some fresh fruits. 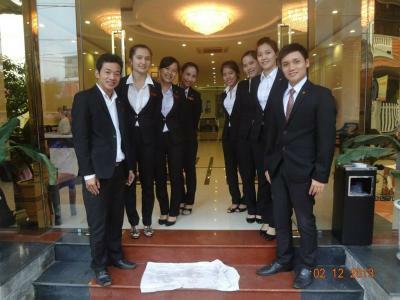 The receptionist told us everything about Hue, what we could do and book, without any pressure to book direct something at the hotel. In the meantime out luggage is brought to the hotel room. By entering the beautiful hotel room the air-conditioning was already on, spacious with a comfortable bathroom and even our own computer with Internet access at the room. Breakfast is a la carte but you can choose how many dishes you want, from eggs, rice, pancakes etc. Location is perfect, not even 5 minutes walking to the Backpacker corner with all bars and cafes and 25 minutes to imperial city. Direct acrost the hotel is a large scooter rental where you can rent a scooter for 3 Dollars a day, perfect! Amazing staff, fantastic breakfast, great Aircon and an awesome restaurant!! Also great local family mini mart a couple of doors down! For the first time that I’ve written a review for accommodation I’ve stayed in, I have nothing at all to write in this section! 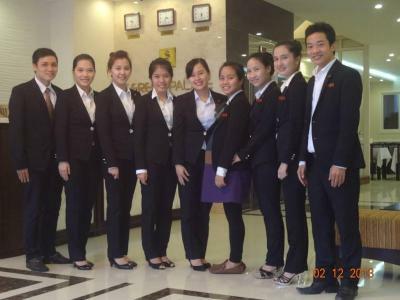 Service was the best we have experienced in Vietnam by far - such polite, friendly and helpful staff. Fantastic. Room was very clean and modern. Free fruit given each day. Info on things to do provided on arrival. Generous breakfast portions and variety of things to choose from. Bathroom had separate shower- not a wet room. Gave us towel to use and shower facilities after checkout so that we could freshen up before overnight train. Staff very helpful with luggage and opening doors. Fantastic value for money. Not much without being way too picky! They upgraded us on arrival which was a nice surprise. 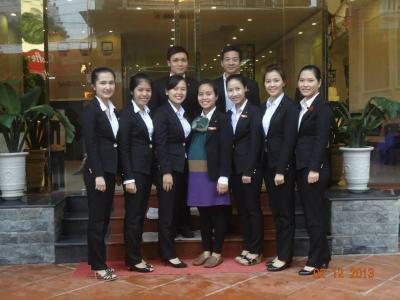 The staff were probably the friendliest I experienced on my whole trip in Vietnam! 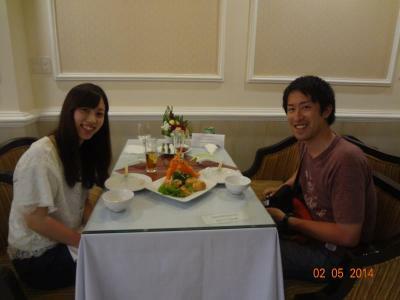 They gave us local information and also the restaurant staff were so attentive and friendly. They knew we were doing a day of sightseeing so even made us a little lunch box with fresh fruit inside! This was such a friendly thing to do and made a big impression on us. The food in the restaurant was very good, and I was surprised to find that it was actually the 2nd best in all of Hue on TripAdvisor. So we ate dinner there and were not disappointed. We only stayed for one night but they made sure we remembered it! Furniture is a bit dated but it’s very clean and everything provided. 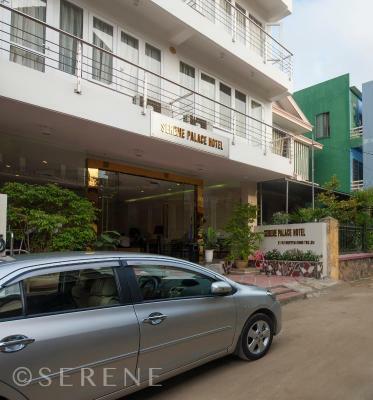 The hotel is located 30 min walking distance from the Hue palace. The hotel is clean, the room is comfortable. The complementary fruit on the table every day is a nice touch. The breakfast was OK. The people in the reception give good advice on what to do in Hue (told us about the Bach Ma national parl which was a great experience). Have to say that the staff was a little too friendly at times trying to do everyting for me, but maybe I’m just not used to it. Overall would recommend the hotell,good value. 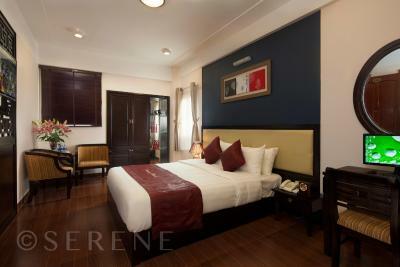 Lovely hotel close to river and citadel with exceptional staff. 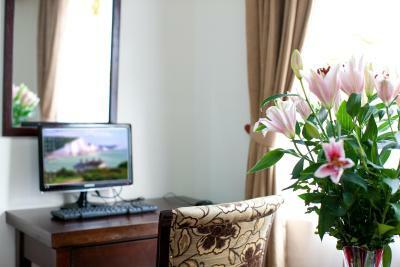 All staff warm, friendly and went out of their way to make our stay a wonderful experience. Special thanks to the lovely Sally for her exceptional care and lovely conversations. Thank you !! The hotel was like an oasis in the desert - very luxurious despite its location. A doorman to open the door every time you went out or came in! Room very spacious with a large double bed per person. Good food and plenty of choice. 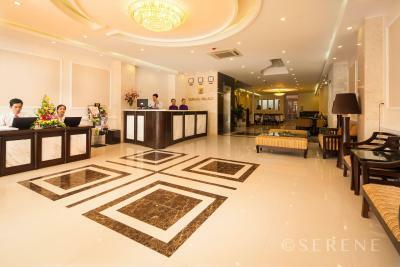 Reception staff friendly and extremely helpful in arranging a trip out. Everything, great location, amazing rooms, very friendly staff! Not that I did not like it but the restaurant ambience did not marry with the rooms. Staff and food fine. Lovely room. Great location. Personal touches. Attentive staff.